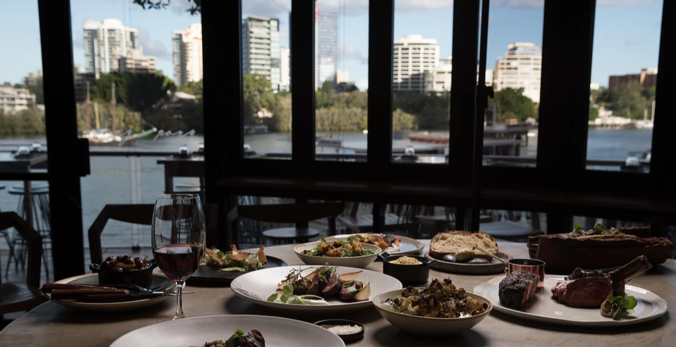 Gather round foodies, because one of Brisbane’s best dining tours is back and letting their fancy fly free! Like Audrey Hepburn in Breakfast at Tiffany’s, you too can embark on an amazing whirlwind, Manhattan-esque amble through the city come April 28th when Bite, Sip, and Stroll arrives in Brisbane. After a successful last year, Bite, Sip, and Stroll once again offers gourmets the chance to taste and explore four of the city’s most decadent and elegant dining precincts, including returning fan-favourites Urbane and Esquire. Joining them will be the esteemed Pony Dining, whose delicious signature Argentinian wood fire grill dishes are the definition of hot-to-trot. Finally, rounding out this all-star dining tour is the newest kid on the block OTTO Ristorante, whose Italian-inspired cuisine and wines are what your Nonna’s dreams are made of. Amazing dining aside, this event will also ensure that every meal digested during its three-and-a-half-hour-long soiree is accompanied with the most exquisite wines from each restaurant, as well as a sparkling upon arrival. At only $129, this dazzling event is truly the Tiffany diamond to your Hepburn; so be quick and secure your place before they sell out!